Image competition: the difference between confusion and frustration. Image competition and the pursuit of merits and association degrees is a rewarding though sometimes troubled endeavor. It’s going to be hard—we all know that—and there are going to be situations that come up that make you want to give up. However, like a lot of things that you are working to achieve, it’s what you do once you are knocked down that matters most. With the hyper connectivity we now enjoy with the internet, we are able to share details about our disappointments that in the past we would have kept to ourselves or perhaps only shared with a close group of friends. However, with social media, we also now have the opportunity to vent in very public ways. Here are some recent observations about Image Competition venting that might be useful to address. take all the mislabeled confusion out of your mind and find a much better place to spend your energy. Don’t get us wrong—it can be frustrating. No one wants to hear that an image they poured their soul into isn’t a merit image. It’s ok to be frustrated! You have worked so hard to get everything just right and your image didn’t get the score you wanted. The important thing to glean from this, in our opinion, is who to be frustrated with. We contend that if you channel the frustration inward and use that energy to increase your skills, you will get better at creating images and your scores will reflect that. Here is a little secret—the best result you can have from image competition isn’t receiving merits or degrees—it’s becoming a better image maker. When you are frustrated, it’s an opportunity. You have an opportunity for growth and improvement. Unfavorable scores push you to work harder so that eventually you’ll be creating images with a level of skill that can only be honed through the fire of disappointment. One juror at District recently expressed that it’s ok to feel disappointment but please don’t channel that anger toward the judges and blame them. Jurors are always hoping to award a merit! To become a juror takes a lot of time and training and sacrifice. No one enters the juror training program hoping to dash spirits and ruin lives. 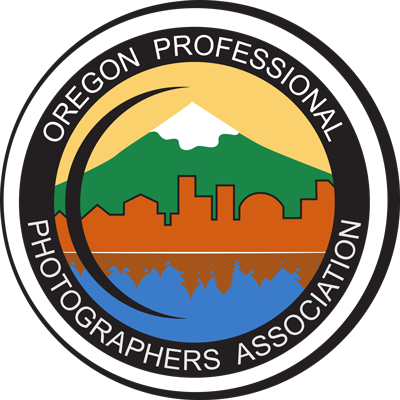 Becoming a juror is truly a labor of love—you must be passionate enough about photography and photographic education that you are willing to spend your own hard-earned dollars to acquire the training necessary and then be humble enough to be evaluated by approved jurors over and over until you are approved. And then the evaluations continue! It is through much personal sacrifice and time away from family and their business that jurors are trained and approved. Please understand that when a juror scores your image, they are looking for ways to reward the maker not the other way around. We hope confusion is not your mindset now that you understand the process. Understand that frustration and disappointment are fleeting and then turn that emotion into determination to excel. One juror recently equated this to the 5 stages of grief. 1. Denial 2. Anger 3. Bargaining 4. Depression and 5. Acceptance. Maybe we should write a book on the 5 stage of Frustration in image competition—there are a lot of similarities and we think it would be a best seller amongst the competition crowd. If you can channel that frustration and use it to your advantage as you create, ee believe good will come from it. In science, we look for things to match and be evidence based with repeatable results. Image competition is not science. It’s an art. But in the pursuit to give it meaning, we give it a method of order—the PPA 12 Elements of a Merit. We believe it’s the best system in the world and one we can rely on. Sometimes you will score well and sometimes you won’t. But as long as you are participating, you will get better and become the artist you aspire to be. Just don’t get caught in the trap of confusion on why the result may vary and understand that truly, the value of competition is in the process. The result is but a tiny fraction of the process of competing but because we like accolades, it’s the part we focus on the most. Let your focus be broad and the accolades will come.